Change can be really exciting - a time of new energy, new growth and anticipation, but it is also inherently unstable. That sense of “not knowing” can make us feel uncertain about what’s coming next in our lives. Although change is a natural phenomenon, for example we see the seasons constantly changing around us, the moon circling the earth, the water evaporating and returning as rain… There are, in fact, very few things in the manifest world that are in any way stable or permanent. Some things like stone and metal may take longer to dissolve and melt away than others, but inevitably everything that is manifest around us is subject to the laws of nature. Now, don’t we want to be in control of our lives? To feel empowered and create our destiny in life… and yet this wanting to be better or to have better things, is actually creating a trap for our senses, which are constantly demanding a more comfortable life. This ‘wanting’ or ‘yearning’ is called ‘Kama’ or desire. So, how do we live a life of balance, abundance, joy and prosperity and yet live without the “push” of desire and yearning? It seems a bit of an uncomfortable paradox with our modern lifestyle, especially with the Law of Attraction telling us to visualise intensely our goal in order to bring it into reality. But, there is a way through this paradox… it’s called the path of equanimity. Stand firm in yoga, perform your activities and give up attachment, O Dhanañjaya. Become balanced in both success and failure. Such equanimity is known as yoga. The path of equanimity is mentioned many times within the ancient text of the Bhagavad Gita. It is a path of balance, where you can choose NOT to be disturbed by the changing world around us, and instead, to stay calm and focused within the very centre of our Self. We do this by disengaging a little from our senses through meditation (especially on the Ajna centre) and through observing the world around us from the place of ‘the witness’. A great ideal, but how do we live up it - especially when things ‘hit the fan’? Incredibly it all boils down to WHY you want something - what is the underlying motive behind your action? If it is done with a selfish intention, it is inevitable that we are going to be disappointed. We will get angry or upset when things don’t go our way, and in the end, we blame other people or things for something not going right. This is NOT a life of emotional and mental balance and harmony! However, when we act from a place of finding the best outcome for everyone (with an un-selfish and pure motive), we are said to be acting in accordance with our dharma. And what is dharma? Dharma, according to the Bhagavad Gita, is the path of “right action”, the reason or purpose for your life. For example, the dharma of the sun is to shine, of the wind to blow, a doctor to save someone’s life... When we choose selflessness you are pretty much guaranteed to be acting from a place of dharma. From here, if things do go pear shaped at least you have the knowledge that you tried your best and that you had the best intensions. And then? Let it go and move on, without being disturbed by the emotions of success or failure. In conclusion, try to live in a place of total inner balance - where the opposites of life don’t sway us (too far) on the pendulum of emotions. Become aware of when you are elated or deeply unhappy, or indeed in any extreme of emotion or thought, and then, detach from the emotional engagement of the moment. By observing in this way we distance ourselves a little and we can finally see that, in reality, even this moment, this emotion, is transient and will pass. So, rather than pushing towards our desires, fearful of other people and change, we can choose to place less of our power into those things which are transitory and therefore we will inevitably become more content, happy and balanced within who we are. 1. Question yourself; WHY am I doing this (whatever it is). Is it for myself? My family? Will it have a positive or negative impact on the world or people around me? Then make a conscious choice whether or not to continue that action or thought. 2. Am I living a life that I love? Am I really fulfilling my destiny in my current scenario? What might I need to tweak, adjust or change in order for me to be living a life more in harmony with my dharma? 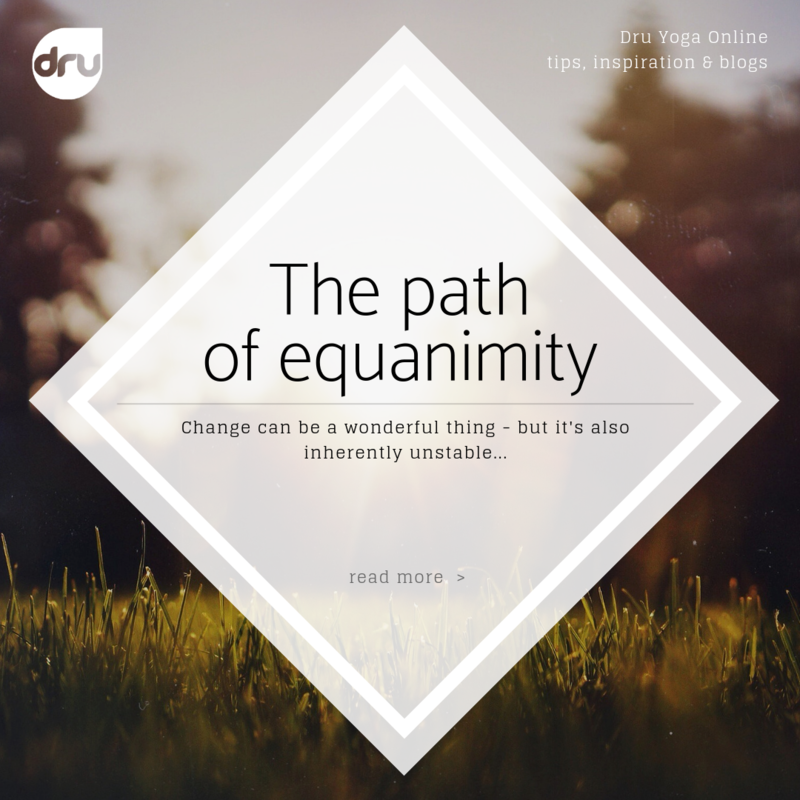 Thanks for joining me to explore the path of equanimity! Do write in the comments below how you get on with this philosophy. In the next blog we’ll be delving into the concept of the real and unreal - permanent and impermanent - and how, through developing faith and trust in the universe we can feel at once more balanced and stable. Join Andrew, as he takes you through a series of movements, combined with mental and emotional focus that will enable you to let go of any unwanted habits that may be tripping you up as you walk the road of life. Discover more about the Bhagavad Gita with Jane Radhika Patel. 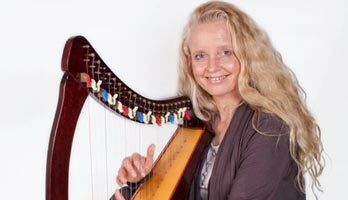 Singer, songwriter, mother and grandmother, Jane has spent the last 30 years exploring the potential of sound as a tool for enhanced consciousness. On the Online Studio Jane has explored some of the deeper and hidden meanings within the ancient text of the Bhagavad Gita - ancient wisdom for modern life.